11:24am EDT radar image. I have circled the area of strongest winds. I have also circled Marco Island, Naples, Key West and Miami for reference. 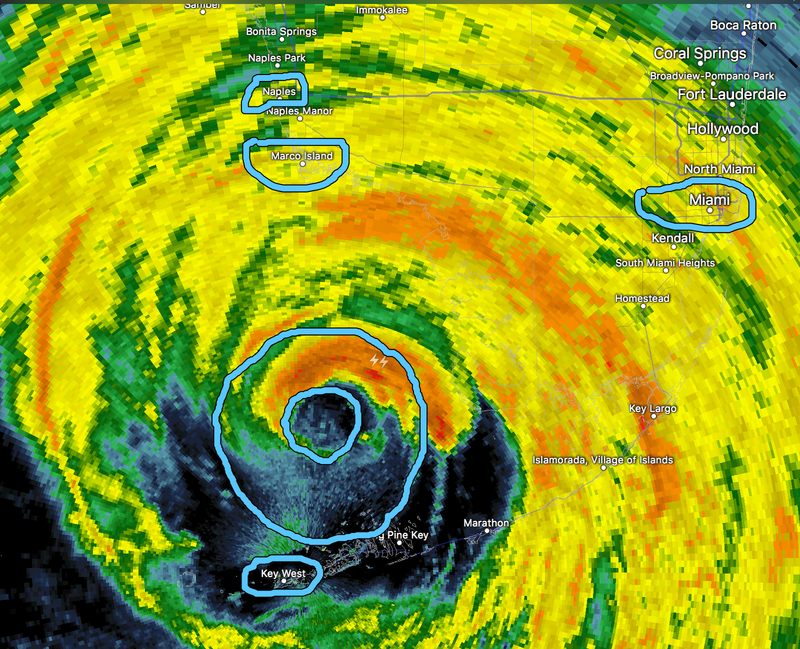 The eye is moving N to NNW at 9mph.